I must first tell you about seahorses generally, because they are so crazy amazing. They're cramazing. Now that is a weird little fish. 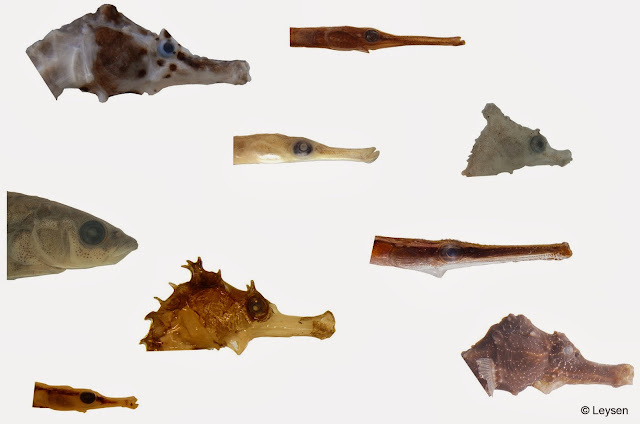 Seahorses and closely related pipefish (Syngnathid family) have a tube-like mouth and no teeth, so their prey must be small enough to be sucked up and swallowed whole. Due to their odd shape and small fins, seahorses are pretty bad swimmers (some can only manage about 5 m/hour). However, they are excellent at the art of camouflage and spend most of their time clinging to look-alike habitat. See? 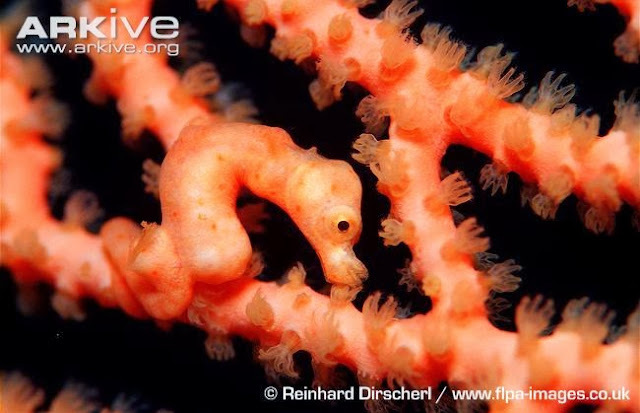 Another cramazing seahorse fact, is that MALES give birth to live young. What?! Its true. Males have a special brooding chamber, and following an often elaborate courtship ritual, females deposit their eggs into the male pouch. He then self-fertilizes the ova (between 5 and 2500 per pop) and carries their wee babies until they hatch. That's my kind of dude. Here are some other excellent animal dads. 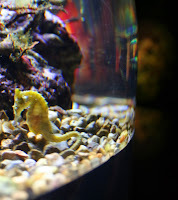 The following video shows a captive seahorse dad "Andy" giving birth, and then the development of the young. Before signing off on the wonderful pygmy seahorse, I must give a shout out to the leafy (or weedy) sea dragon (Phycodurus eques). In fact, I'll let Sir Attenborough tell you about them, as he does them justice. Watch for the somewhat creepy, externally brooding, roaming baby eyeballs.